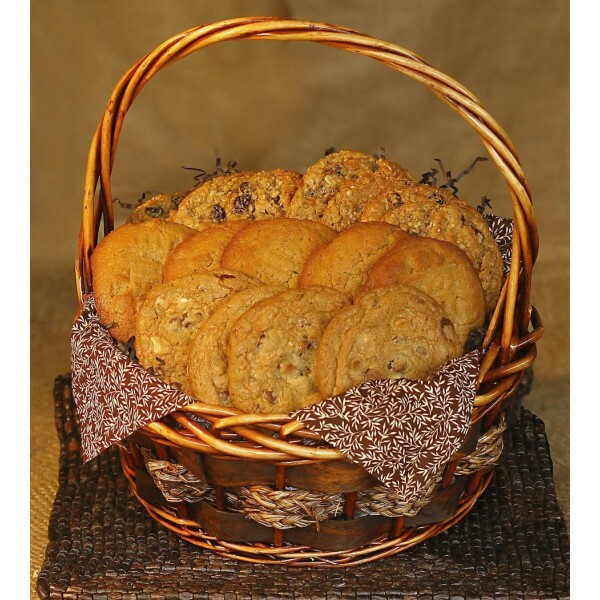 4 Dozen Cookies wrapped in a large oval handled basket with character adorn with a beautiful bow. Great gift for 25-30 people. 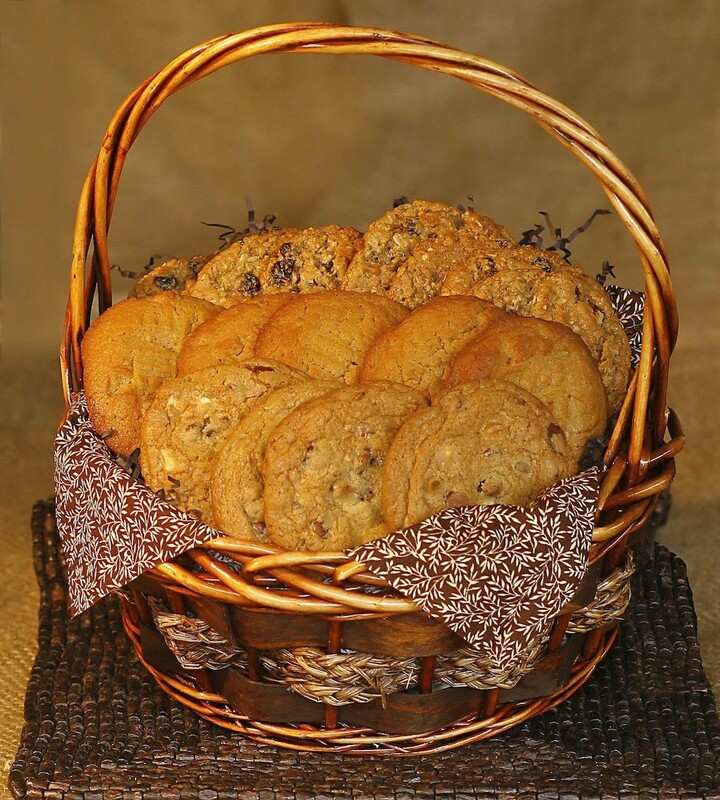 *Actual Baskets vary based on inventory.